With the thought police are out in full force, the left wing companies controlling social media are all too eager to look the other way on violations of their community standards when it's furthering their political narrative. I believe that is what we are seeing with the<a href="https://chrome.google.com/webstore/detail/no-platform-for-fascism-t/khpfcpkmoldaeiknfjcgjfcnkojobicd?hl=en&gl=US">"No Platform For Fascism Tool Kit"</a> that is available on the Google Chrome Web Store. If you visit support.google.com/youtube/answer/2802027, you can find YouTube's policy for reporting videos and in their example, you must be signed into your account and report a video manually. You even have to select the reason that best fits the violation in the video. 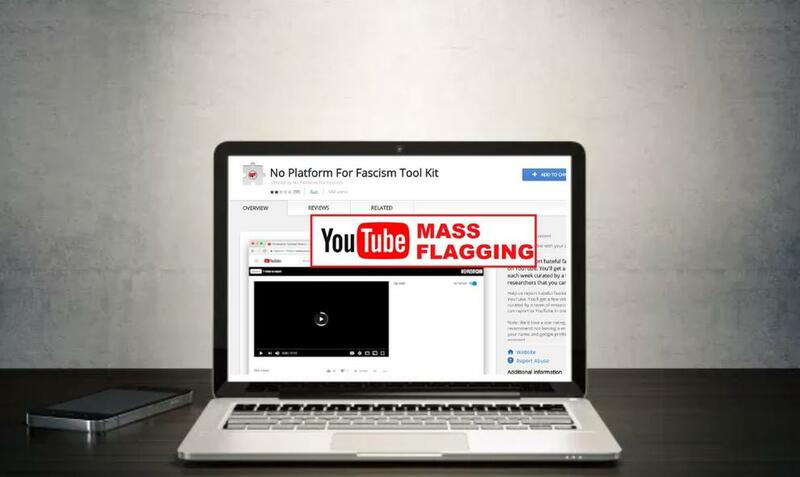 Now, it seems the Antifa developers behind this new toolkit have found a unique way to sidestep YouTube's reporting policy in a way that lets them mass flag a video without technically breaking the policy. The way they get around this is by having the targeted videos sent out to everyone who has the extension, and each person will report the video in one-click. So while each individual person is reporting a video from their account, the idea that the creators of this extension are curating which videos are targeted for mass flagging is authoritarian in nature. And they are supposed to be the anti-fascists? It isn't clear how the extension allows you to report a video in one-click since you are required to list a reason for the flag when you report a video. I would assume they have it locked to "hate speech" by default but that's just a guess. The extension has about 98 reviews although the extensions own creators warn against leaving a review since it will expose your name and Google account. I would like to think that this extension has just slipped under Google's own radar but considering they own YouTube, I hope they get it taken down soon.